I was blown away. On maintenance day, I was mostly excited and a wee bit nostalgic, but really, mostly excited. When it finally happened and I logged on, I don’t think anything could’ve prepared me for it. I was mostly in awe and at the same time, deeply saddened by what I saw… and not really because I missed the old quests particularly, but more because I saw the destruction of something that held so many memories. I expected this post to be about the changes brought to healing, to talents and glyphs and so on, but it soon became apparent that I was nowhere near ready to talk about it. We surprise ourselves sometimes. The ruins of Auberdine are quite a sight. I am impressed with the amount of detail and effort Blizzard has put into revamping Azeroth – it is no easy feat, and I think they deserve a round of applause. My awe, however, is mixed with sadness as I learned not all of Auberdine’s inhabitants survived – some of which I knew. In a chilling quest, I was asked to search for survivors and well, I came across some familiar corpses. Terenthis… I helped him combat the corruption of furblogs, and Barithras Moonshade… he sent me to gather cave mushrooms in that (formerly) naga-infested cave. The good news is that not all perished, other familiar elves such as Cerellean Whiteclaw and Volcan made it through. He’s back, reunited with Tyrande! 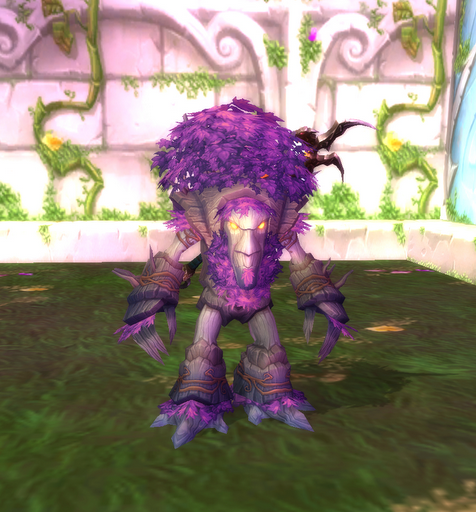 And in what I assume to be his uber druid form. 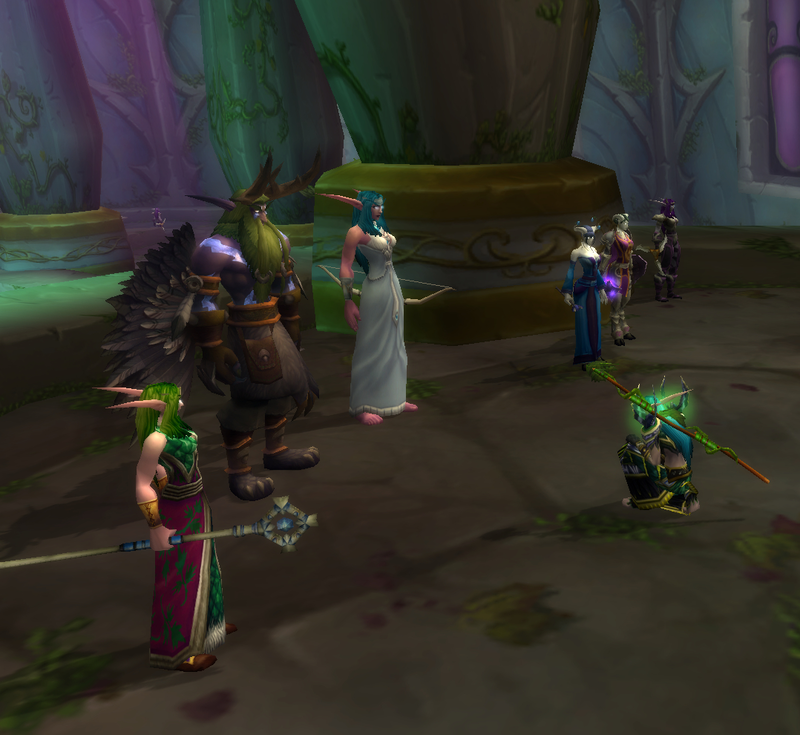 As a good druid, I promptly went and showed them my respect. The lore behind his return in the Stormrage novel – I personally read the summary featured on WoW Insider. Its a story I highly recommend reading since the lore takes place outside the game although its effects are clearly felt. This is probably the only really awful part of this patch – in my humble opinion. It is one of the ugliest forms I have ever seen – not to mention blatantly male. I’m not sure how female druids are supposed to warm to the idea of wearing beards. They really screwed this one up. I remember seeing the earlier pictures and thinking, “oh thats awful” but let me tell you, it goes to a whole new level when you watch yourself turn into it. I promptly obtained Glyph of Treant, with a definite sense of urgency. While it is of some consolation, I’m still slightly offended that female druids have a very obviously male model thrust upon us by default. That’s my two cents. Your comments on the emotion associated with the changing world are really nice. A lot of people don't think about the shattering like that! The changing world and phased content also introduces new elements to the game. As you play through quests, stories will change and evolve over time. This hadn't been done before in Vanilla wow to any extent and its impact on the once unchanging world of Azeroth will be felt by many players to come. The new progressive storylines will appeal to a wider audience too, don't you think?